Bedrooms: 3 "bonus: pull out bed in living room"
Spacious home on a quiet cul-de-sac in a nice community. 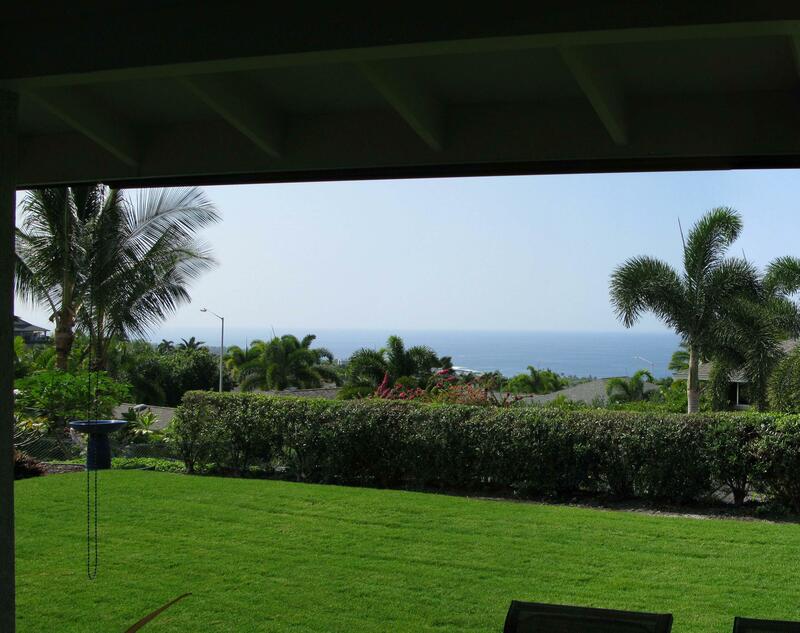 Short driving distance to Alii drive/Kailua Kona town, beach, restaurants and shops. 3 bedroom, 2 bath house features a large open floor plan living room with plenty of seatting for everyone, cable/internet/WiFi, a lovely lanai where you can relax and enjoy the ocean view, a fully equipped kitchen with microwave, stove, dishwasher and everything you may need while on vacation. The furniture indoor and outdoor is comfortable and meant for lounging or entertaining. The “Akela” master with King size bed and ensuite which opens on the side lanai. This bedroom is air conditioned. The “Kahula” bedroom with a queen size bed,closet for storage, night stands and side lamps. The “Makanui” bedroom comes with 2 twin beds and is also air conditioned. One of the sofa in the living room is a hide bed and could be used as extra sleeping area if needed. Washer and dryer is located on the same floor which allows for easy access (no steps anywhere in the house) - A gas bbq located on the front entrance is also available for your use.